Expect a minimum shipping delay of 1 weeks. 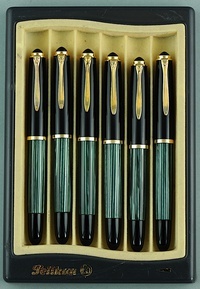 The Pelikan green 400NN is one of our stock in trade pens. We generally have these in stock. 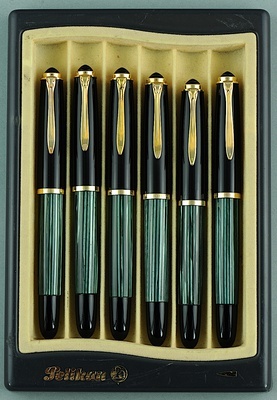 So to order, e-mail us to discuss nib availability and details, or just order with your specifications as a note and we will be in touch to confirm.